The newspaper Kathimerini presents a video on the interactive recreational program “Thallo,” which is implemented in elder care units with the support of the Stavros Niarchos Foundation (SNF). 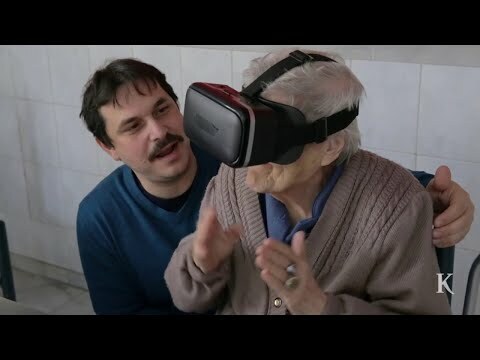 The program provides an opportunity for elderly people to travel to familiar and unknown destinations in Greece and abroad with virtual reality headsets and to participate in mental exercise games and songs to enhance their memory. The “Thallo” program is implemented by the Seveneleven Theater Company, which was founded in 2013 with the aim of improving the social and mental status of people who live in elder care units.